It's 1:03 AM upon starting, 3:30 end), and while that normally would be well within my nocturnal work time, I just got home after 12.5 hours between volunteering and providing transportation for my friend there and back so I need to get to sleep considering I have to do it all over again tomorrow plus more! Ok, I just can't even begin to express to you how amazing the experience is. I Love variety and was pleased to get to do many jobs today, by being the person to take over while people went on break etc. People used to tell me how even before it's dedicated, the spirit is so strong in the Celestial room.... I figured how is that possible. It's POSSIBLE ok!!!! It was a very similar feeling to another experience I've had that was one of the most powerfully spiritual experiences of my life. I'm actually grateful now to have been given a particularly grouchy round of PMS with some negative thoughts and perseveration, because it helped to show SUCH a contrast once I got on the tour and particularly the Celestial room, all the "humanness" ie the parts that are not so great to have, just WENT AWAY! I don't know WHERE they went, but they went AWAY! It's as close as I imagine to what being in the womb must feel like. I mean from out here we might think it seems stuffy and cramped, but yet it's OUT HERE where the babies cry. They seem pretty darn content up in cozy womb! I don't think there exists anywhere on Earth more peaceful than this kind of temple. I stick by what I've said before- it's better then Disney World! 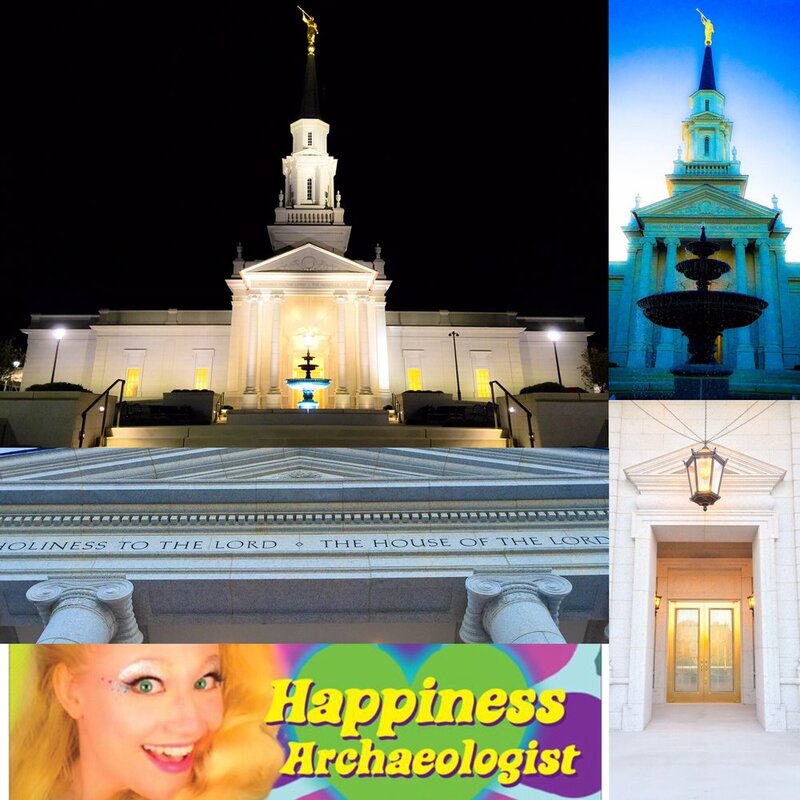 So I hope everyone can come take a tour of the temple during the open house, and I invite all my friends to volunteer. It's amazing beyond belief!